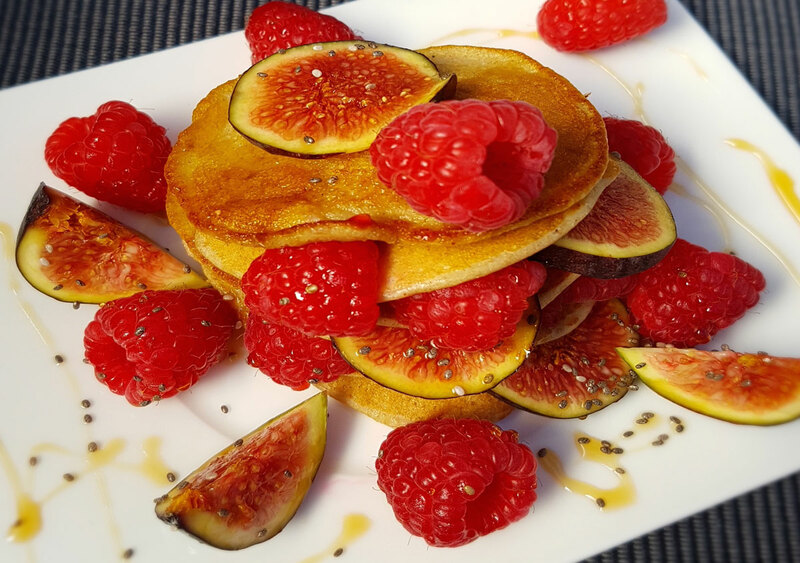 The Bodyfit Blog, packed with recipes, exercises and tips - Can you believe that pancakes really are healthy for you? Can you believe that pancakes really are healthy for you? Most of us love pancakes and this often stems from our childhood when we were carefree and paid little or no consideration to how healthy each meal was. Unfortunately, those days have passed and we all should pay attention to the food that we buy, cook, and consume. It’s not just the shape of our bodies that we must consider; our skin and general health are all affected by the food that we eat. Sometimes these effects are invisible, but many years of unhealthy eating will undoubtedly cause you problems further down the line. Going back to our weakness for pancakes, let’s see how we can turn it into an advantage. In fact, we can still enjoy many of our favourite desserts, we just have to start looking at how we can make them in a ‘new’ healthy way. The first thing we need to do is remove all the unhealthy ingredients and work out what ingredients we can replace them with that will be beneficial to our body. So, for our pancake recipe, we can replace the flour with a non-gluten product such as oats, buckwheat, quinoa, chestnut, rice, etc. We can substitute regular milk with a rice, soy, almond or oat equivalent. Then, we can go further by reducing the amount of salt we add, allowing our body to circulate water faster and with less effort. We can also swap the white sugar for honey, agave nectar or dates. Now we have all the ingredients for our delicious healthy pancakes, simply prepare and cook in the same way as a normal pancake batter and enjoy a delicious Sunday morning breakfast! Serve with fresh figs and raspberries. Enjoy and share your Ultratone Diet Protein recipes with us on @bodyfit !